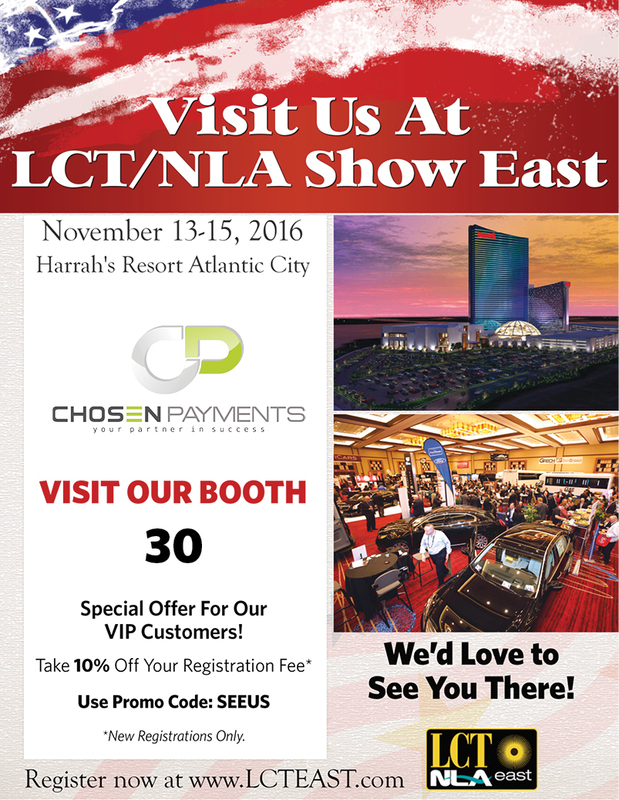 Chosen Payments is proud to be a sponsor at the upcoming LCT East Show. Chosen Payments will sponsor the opening and closing sessions beginning with B4 Business Networking. 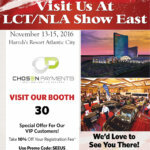 This session is hosted by Chosen Payments Marketing Manager, Jim Luff. We will be giving away TWO FREE TICKETS TO ILCT 2017 during this networking session. We will also host the closing session on Wednesday. If you stop by our booth (Booth #30), we are giving away free Data Protection Plans to provide you with coverage if you experience a data breach. One single credit card number breached could spell financial ruin for your company. We will provide the protection you need. All you have to do is stop by and ask us about it.